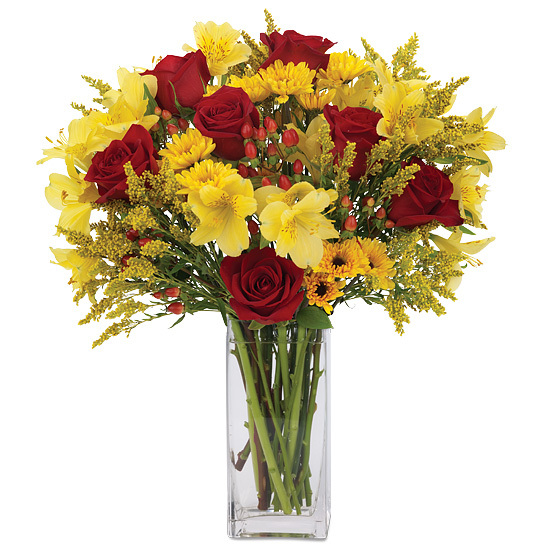 Surprise someone special with a delightful dose of autumn sunshine. 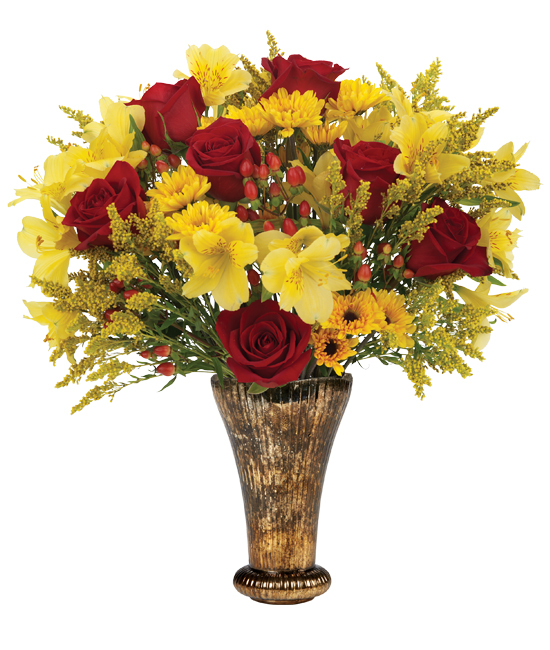 Bright with the season’s prettiest colors, our gathering of red Charlotte roses, Viking pom chrysanthemums, and golden alstroemeria mixes with playful sprays of yellow solidago and hypericum berries, creating a cheerful site that will definitely leave everyone smiling in our mercury glass vase. Remove all foliage that will fall below the water line. Remove the “guard petal” on each rose – this is the outermost petal left on to protect the bud during shipment. You may also remove any petals that may have slightly bruised during shipping. We recommend cutting all stems underwater for best blooming results. Change water and re-cut stems every other day.